How Much Are Your Wedding Photographs Worth? Not long after that photo was taken, I remember my Dad (that's the chap in the red sweater) took the spool down to the chemists and had it printed. We probably looked at it for a few minutes, then it got stuffed in a drawer along with all our other family prints. And I'm sure you can relate - we've all got a drawer like that somewhere in the house! The point is, we didn't really value that photo massively at the time to be fair. How much was it worth? At the time I'd have argued no more than the paper it was printed on. Fast forward 26 years to the present day, and the power of this really hits home. Two of the people in that photo are no longer with us - sadly my Dad and Grandad passed away a few years after the photo was taken. Out of everyone in the photo, there's only three of us left. A fleeting moment in time, never to be repeated. "People don't value photos until it's all they have left"
Going back to our family photo, sure we didn't value it much at the time but how much is that photo worth now? I'd argue it's priceless. Photographs bring back memories and feelings like nothing else on earth. It's the reason why people will tell you if they could save only one thing from a house fire it'd be their photographs. So, coming back to the point of this post, how do you put a value on your wedding photos? Now let's make the distinction between value & price again. You can easily find out how much it'll cost to have your wedding photos taken, but how much will they be worth to you? How do you value them in years to come? You can't. Truly, they're pricelss. And they grow more valuable with time. And now the real point of this post. When It comes to choosing a photographer for your wedding, choose carefully. Don't make price your main concern, because one day, your photos are all you'll have left. How much should you pay for a wedding photographer? Now there's a question and a half! I've seen quite a few examples recently on Facebook and elsewhere of complaints and legal cases where a couple feel they've been ripped off by their photographer or they're not happy with the photos their photographer gave them. Sadly these kind of stories are becoming more and more common. The truth is, it's a fiercely competitive market. There's hundreds of photographers out there, all offering different products, at widely varying prices. I've seen prices as low as £200, and as high as several thousand and everything in between. The good news is, whatever your budget for photos is, you’ll find a photographer that suits what you'd like to spend. I've always said that when you're planning your wedding you should spend your money on what matters to you most. Everyone has different wants and needs, and different priorities. Some people want an amazing wedding cake for example, a fabulous designer wedding gown or stunning limousines to take them to the church. For others, beautiful flowers are really important to them. At the end of the day, it’s your wedding, you should do it your way! But, let’s think about it more carefully for a second. After the wedding’s over and you’ve had your 30 minute ride in the luxury Bentley, your cake’s been eaten, and the flowers have wilted, your wedding photos remain as the only permanent reminder of your big day. It really does require a bit more thought. So let me put it like this. You’ll have your wedding photos for the rest of your lives - does it really make sense to spend less on photos than you’re spending on flowers? Or a cake? Or a limo you’ll be in for 30 minutes?? Price SHOULD NOT be your main concern when it comes to choosing a photographer for your wedding. Photography pricing isn’t always a good gauge of quality. There are some low-budget photographers out there who produce decent results. On the other hand, there are more expensive photographers who produce absolute trash. In reality, there are no rules or regulations to control pricing in the wedding market. Photographers can pretty much charge whatever they want, whether that’s £200 or £2000 and the price alone doesn’t necessarily dictate what sort of quality you’ll get at the end of the day. Look for photographers whose work speaks to you. Do you like their style of photo? Is the quality good enough for you? If these were your wedding photos, would you be happy? Shortlist 3 of your favourite photographers who are produce the kind of photos you really want. Carefully assess the quality of work each photographer is producing. Does it look professional? Are the photos they’re producing better than what you could do yourself? Arrange a meeting with the photographers in question. Look at more examples of their work. A competent, professional photographer should have a strong portfolio of consistent work from real weddings they’ve photographed. Look at examples from more than one wedding, don’t just accept what you see initially. Remember, the work you see to begin with is likely to be their best work. Is this the standard they produce consistently?? Once you’ve done all of the above then, and only then, should you take pricing into account. That way, you’ll be choosing a photographer whose work you’ll be happy with after the wedding. And that’s a valid point too. What if you’ve taken all of my advice, carefully selected your 3 favourite photographers, and they’re all more than you wanted to pay?? Well, the important thing is this – if you’ve followed my advice, and selected photographers based first and foremost on the quality and service you want, you’re now making more sensible decisions. Now you can properly assess whether you need to steal money from elsewhere in the wedding budget to get the photographer you want, or whether you do actually need to look for a cheaper deal. Now you’re thinking about more than just price! This still applies, even at the lower end of the market. Why?? Well let me put it like this. As I hinted at above, there are always exceptions to the rule, but generally you get what you pay for. A photographer charging extremely low prices will more than likely produce photos which are no better than your guests could have done with their iPhones – if that’s the case you’d be as well saving your money and letting your guests photograph your wedding for free! Wedding Photography - How Long Does It Really Take? Anyone who's been married will tell you - your wedding day flies by in a heartbeat! A lot of planning goes into your big day, and a huge part of that planning is deciding on your wedding timings. It's crucial you get the timings right so you've got time to fit in the photos you want and of course time to enjoy the day too. Most wedding venues have set timescales they'll recommend for your wedding, however there are a small number of venues who set these timings based on their own needs (not what you, as their client, might want/need) so it's worth considering your wedding timings more carefully. Every photographer is different - we all approach a wedding day in different ways and of course every wedding is different too. A good photographer will work within the timings you set, so if timings are tight they'll still be able to get what you're looking for from your photos. 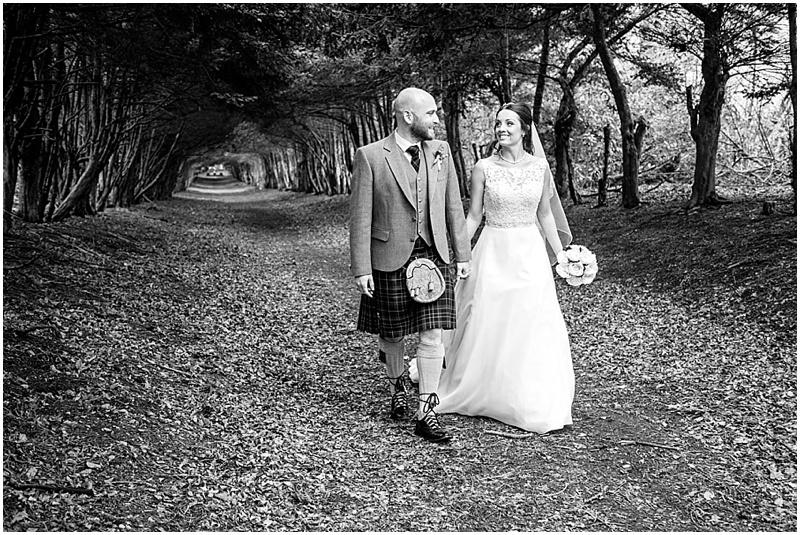 Generally speaking though, the more time you allocate to your photographer, the more relaxed the experience will be and the more photos you'll have to choose from after the wedding. Bride & Groom Portraits - there's a lot to photograph here! There's close ups of both the bride and groom, bridal portraits (close up, full length from all angles, dress detail shots), panoramic venue shots that show the surroundings and more. I usually look to make the most of all the opportunities a wedding venue offers whether that's a nice staircase, beautiful gardens, a cracking driveway, large stained-glass windows or beautiful rooms and of course this takes time. 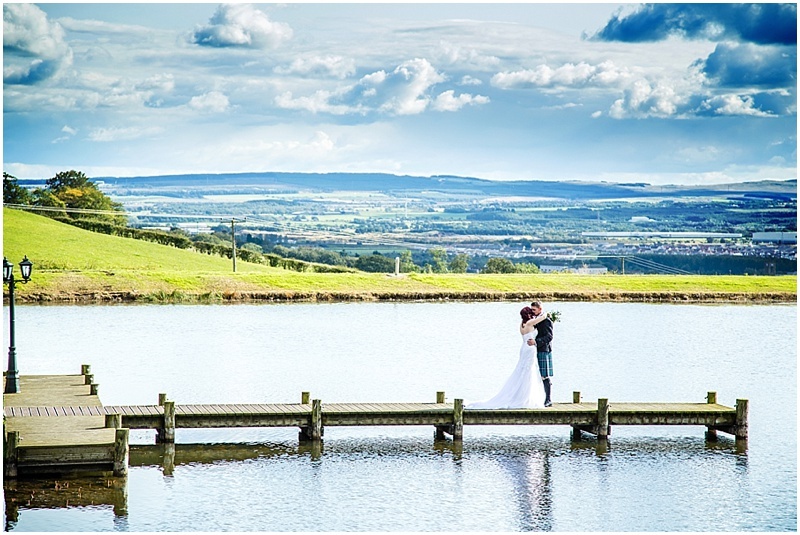 I usually spend around 30-40mins on bride and groom shots to ensure we've got everything covered. Bridal Party Photos - a selection of photos of the two of you with your best man, ushers, bridesmaids, page boys and flower girls. I usually take group photos of these as well as action shots and selection of fun photos, and for these I'll usually spend around 20-30 mins, depending on how large your bridal party is. Family Groups - a great chance to get some photos of the whole family whilst everyone's together! Family Groups can take quite a bit of time to organise, depending on how many groups there are, and how easy it is to dig everyone out of the bar/their rooms/the drinks reception or wherever they happen to be hiding!! We'd usually spend 20-30 mins on family groups, again depending on how many shots there are to take. Mingling Shots - everyone loves natural shots of you and your guests socialising and enjoying themselves, but you'll need to make sure you allow enough time in between formal shots to capture these. I usually spend around 10-15 mins per wedding capturing natural shots so it's worth building this time into the schedule. Table/Room set-ups - it's nice to have a permanent record of your table/room set-ups and I'll usually spend around 10 mins on these in between formal photos. As you can tell from the above, that's around 90 -120 mins or more of photographs all-in. And the bigger your wedding, the longer it'll take to properly cover everything. The other consideration is that, ideally, you'll want to spend some time relaxing and enjoying yourselves with your friends and family, so it pays to allocate some chill-out time too so you're not standing for photos smiling at the camera constantly - that gets a bit tiring! So, how long do you allow for photos? Honestly, I'd say allow 2 to 2 1/2 hours between the end of the ceremony and the start of your evening meal, to ensure there's time to cover everything without feeling rushed, time to enjoy yourselves and of course time to spare just in case things run late for some reason. If you're considering having a receiving line before dinner, make sure you allow extra time for this too. And of course, every wedding is different. Smaller weddings will take less time to photograph. Perhaps you don't want lots of posed photos?? If so, it'll take less time to cover everything but ultimately if you're not sure, the best advice is this: discuss it with your photographer, who'll be able to advise on how much time to allow for the photos you want. I've photographed hundreds of weddings at churches, chapels, registry offices and venues all over the country and most of the time we're able to get beautiful shots of the ceremony that really help the bride & groom relive their vows. Occasionally however, I'll come across a celebrant, be they a priest, minister or otherwise, who refuses to allow photography during the wedding ceremony. There can be many reasons why a celebrant won't allow photos during your ceremony but most of the time, it's because they've had a bad experience in the past with another photographer. I'll often hear stories about other photographers interfering with the ceremony, making lots of noise and generally being a nuisance. I've even heard of photographers climbing over pews during the ceremony, or popping up in-between the priest and the couple during the vows! 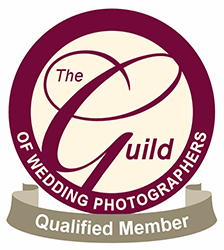 Unfortunately us photographers tend to get "tarred with the same brush" and as a result of past bad experiences, strict rules are put into place by the celebrant to prevent a repeat occurrence. This is a real shame, as it means future brides and grooms won't have any photographs from their ceremony to look back on. Talk to your photographer and air your concerns. A good photographer knows how to capture a wedding ceremony with the minimum of inconvenience to all the participants. Personally-speaking, as a photographer I'm very respectful of the wedding ceremony. I'll choose a spot in the church and stick to it (usually well out of the way - I can capture the details will a long zoom lens), move around as little as possible, make as little noise as possible and not use flash so there's no distractions. Make sure your photographer adopts this way of working too so there's no issues on the day. Most importantly, talk to your celebrant and tell them your feelings - you've got a right to have your ceremony photographed regardless of the celebrant's rules. Re-assure your minister or priest you've discussed this with your photographer so they know what to expect. Remind the celebrant that photos are important to you and ask them to reconsider their photography ban. Ultimately, your photographer will need to abide by the rules set by the celebrant but you may be able to negotiate with your minister or priest so that everyone's happy. After all, if it's ok for a Royal wedding in the highest church in the country to be televised & photographed by an army of TV crew & photographers, I'm sure your own priest or minister can allow it too! "A photo isn't a photo until it's printed"
I read that on a wedding website last week and it really resonated with me. I've got to say, I reckon that's true. There's something nice about a photo you can touch & feel. We all consume images in different ways now, amazing advancements in technology mean we can carry our photos in our pockets on our phones, view them online, on computer etc. I have to say I love the way technology has revolutionised photography. But what happens in the next 10 - 20 years when technology changes? Look how far we've come in the last 10-15 years - who knows what technology we'll be using to view our photos on in 20 years time. What happens when those DVDs no longer work in your computer because your brand new computer no longer has a DVD drive? Or worse still, what happens when your hard drive fails?? What's the answer?? Print your photos! And this is where a wedding album comes into play. A professionally-designed wedding album will show off your precious wedding photos for years to come, no matter how our technology changes. You'll never need to worry about your wedding album "running out of battery"!! I've also often heard people say "yeh, you buy a wedding album and it just sits in the cupboard, no-one looks at it". Maybe that's true for the first few years. But keep in mind, your wedding album gets more valuable as the years pass - it's something physical you can see and touch, which brings memories of loved ones and special times flooding back in detail.